If at any stage browsing the web you are presented with a blank page, you may need to refresh your browser's cache by pressing the Control and F5 keys. Failing that, different web browser software may require additional steps to adjust the security settings. Please consider carefully your need to apply this on any other websites. If you can rule out any firewall or site blocking issues, you may find the problem comes from embedded content from third-party sites -in particular the dreaded iframes. 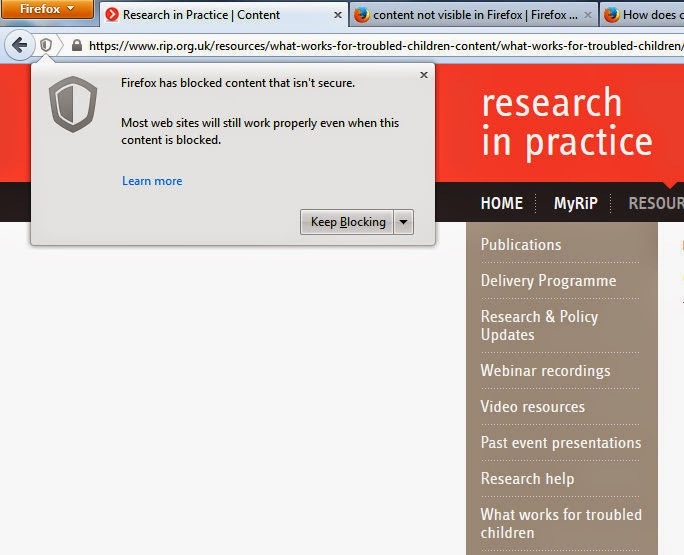 Your web-browser software may be overcautious in it's treatment of 'mixed content'. 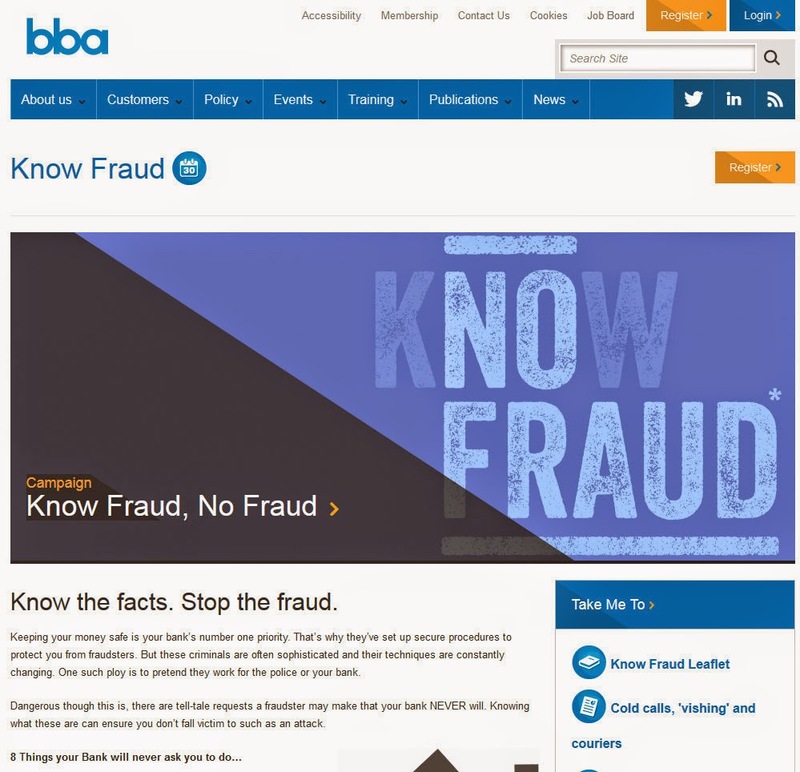 A worthwhile post care of the British Banking Association at bba.org.uk. Keeping your money safe is your bank’s number one priority. That’s why they’ve set up secure procedures to protect you from fraudsters. But these criminals are often sophisticated and their techniques are constantly changing. One such ploy is to pretend they work for the police or your bank. Dangerous though this is, there are tell-tale requests a fraudster may make that your bank NEVER will. Knowing what these are can ensure you don’t fall victim to such as an attack.